on a cloudy day up the Columbia River Gorge…the Vista House atop Crown Point in the distance (Oregon). The photo was taken from Chanticleer Point. 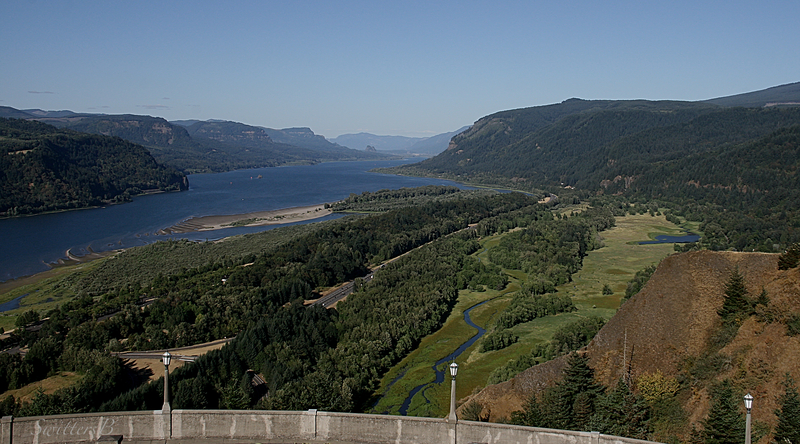 The Columbia River is below, with Washington State to the left. That is Beacon Rock to the left, in the distance.